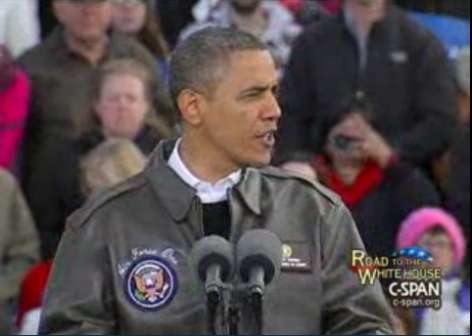 There is a great blog post from @SooperMexican that shows Obama in a bomber jacket. This reminded me of another fatal attempt of a Leftist to promote himself as pro-military shortly before a Presidential election. Let’s hope Obama gets the same benefit that Dukakis got from his tank photo op. The problem is he actually looks good in the jacket. 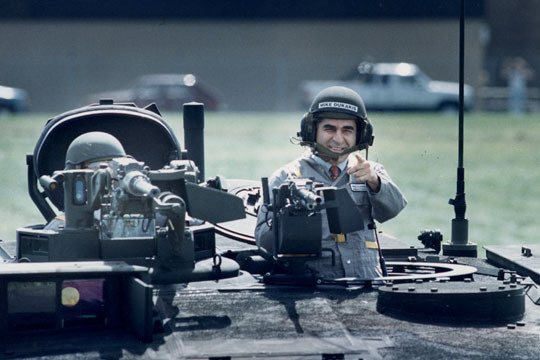 Dukakis looked ridiculous. I’m sure Obama spent an hour in front of a full length mirror admiring himself before deciding to wear this jacket.